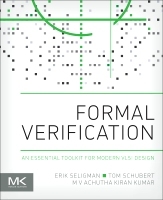 Welcome to the website for Seligman, Schubert, Kumar: Formal Verification: An Essential Toolkit for Modern VLSI Design. Click on the link at left for complimentary code examples, referred to in the book. Copyright © 2016 by Elsevier All rights reserved.